Kishore Biyani has never been a fan of e-commerce. As Chairman of the Future Group, India’s largest retail chain, he had predicted last year that “none of the grocery delivery companies will survive”, and he has been consistently disdainful of India’s e-commerce boom. Now it seems like he’s putting his words into action – while Flipkart, Snapdeal and Amazon have been squabbling with each other through ads and discounts, he’s decided to take on the entire industry at once. 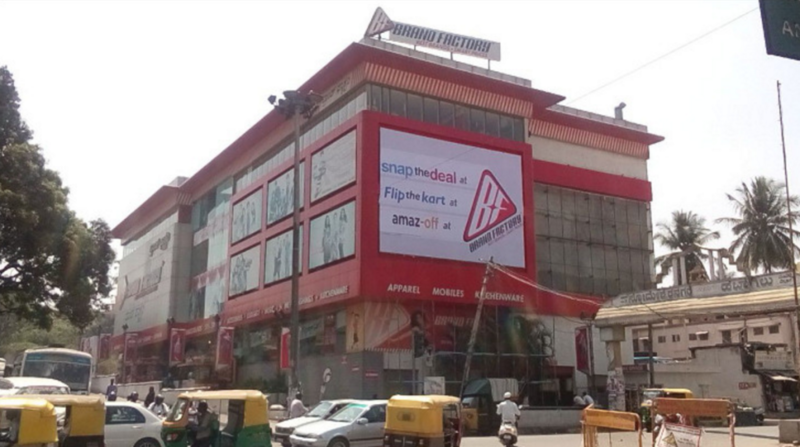 In a provocative campaign that questions the e-commerce industry itself, Brand Factory, Future Group’s value retail chain, is poking fun at its three main players. 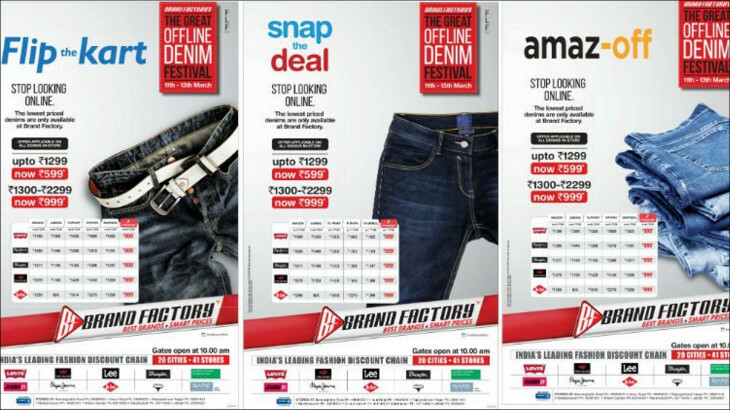 With a straightforward theme of “Stop looking online”, the campaign is trying to wean users away from the e-commerce companies who’ve been luring them with discounts. And it’s not being coy about who its targets are. 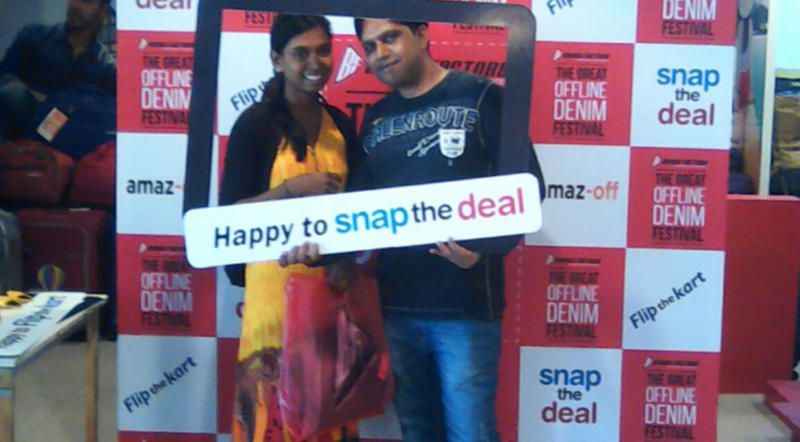 At Brand Factory, you’re supposed to be able to “Snap the deal”, “Flip the kart” and “Amaz-off” as you hunt for the best deals. And the company is putting the numbers out there – each ad is backed by a price chart that compares rates at major online retailers with those at Brand Factory. Discounts, of course, have been bleeding the main e-commerce players over the last few years. 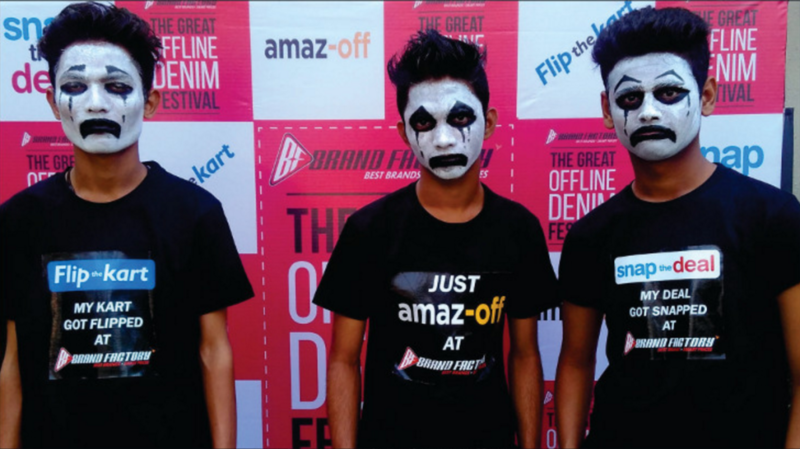 Flipkart, Snapdeal and Amazon have all been vying for users’ attention by marking down their products, and it has been showing – the three companies suffered combined losses of Rs. 5052 crore last year. And things are only getting tougher. Flipkart saw its valuation being marked down by 27% that wiped $4 billion off its peak value of $15 billion, and Snapdeal saw dramatic protests in its office after it laid off 600 employees. While e-commerce companies so far could’ve taken solace in the fact that their problems were endemic to the entire industry, that might not hold true anymore – they now have competition from a new, unexpected, and very brash source.